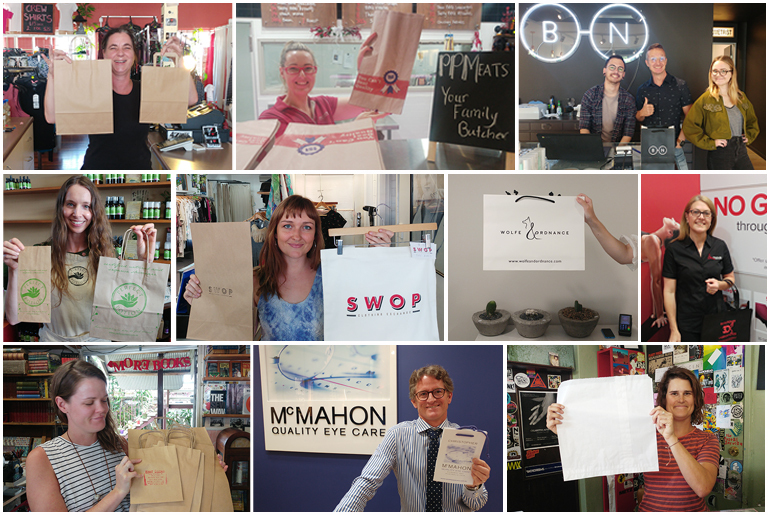 We have met with thousands of retailers in the Brisbane metro region and love talking with local businesses either not using plastic bags at all or preparing to transition away from banned bags. 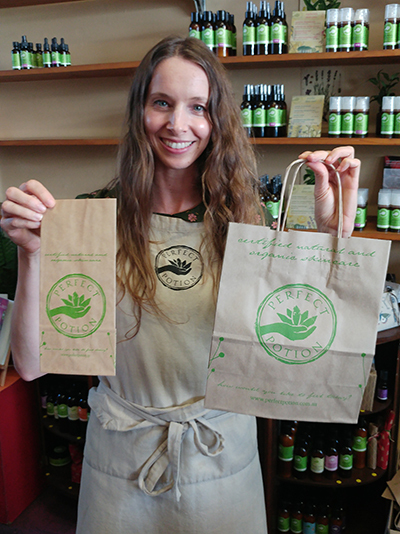 Tanya @ The Perfect Potion in West End shows off their paper bags which align perfectly with the Perfect Potion brand. 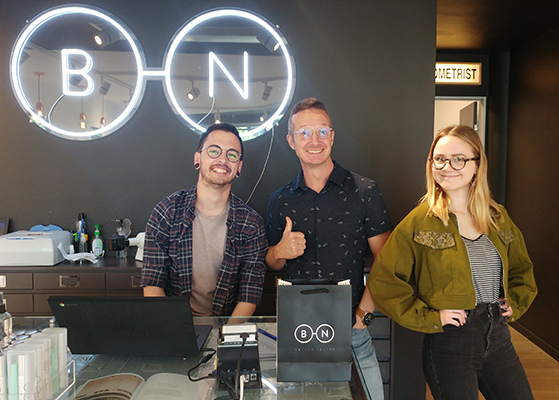 (from left to right) Adam, Kris and Haidee at Bailey Nelson optometry in James Street show off their black paper bags. 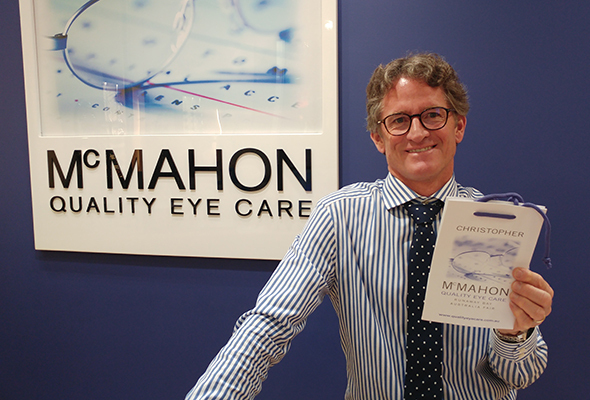 John from McMahon Optometrists shows their premium cardboard bags. Fiona at Absolute Footcare shows off their stylish reusable bags. 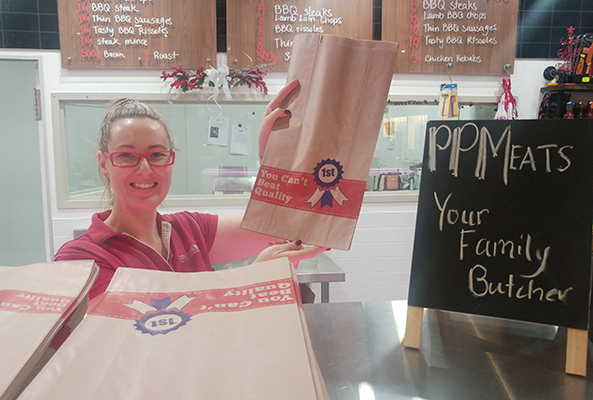 Rebecca from PP Meats uses simple paper bags combined with plastic barrier bags. 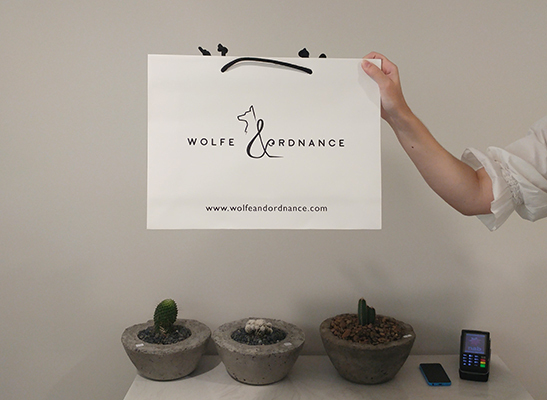 And the winner for the most artistic bag shot so far goes to Wolfe & Ordnance! 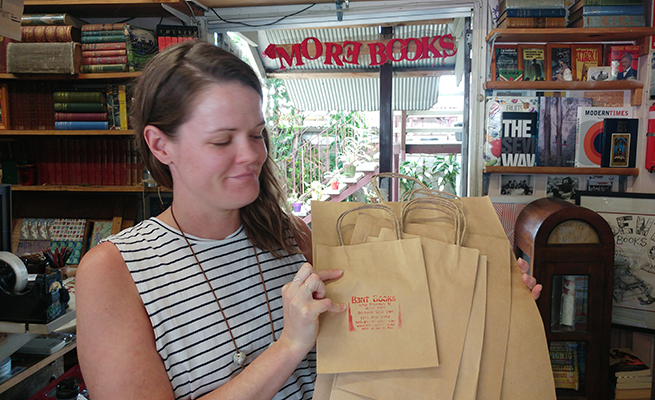 The team @ Bent Books in West End show off their strong paper bags ideal for carrying books. 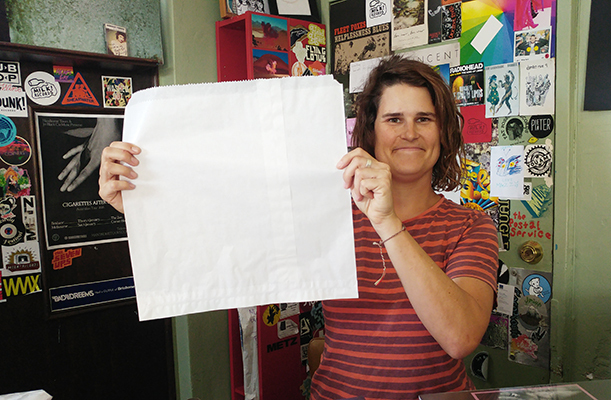 The team at Jet Black Cat Music use very simple white paper bags that perfectly fit their vinyl. 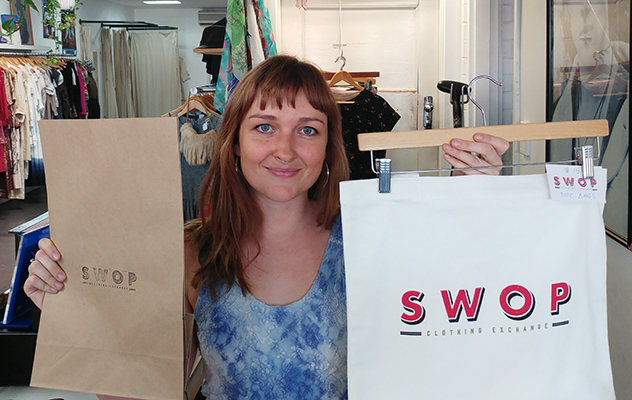 Holly @ SWOP Clothing Exchange in West End shows how recyclable or reusable bags can be cool as well.